Cuba is a country that is steeped in culture with a complex but fascinating history. Being very much cut off from the world for a number of years has preserved this country like no other, travelling here really is like stepping into a time machine & hitting the “go back 50 years” button! Whilst this really is amazing & something that should be totally embraced the fact that Cuba is not so up with the times makes it a little different to travel than most other countries one would be used to. Living in an age where some of us have even ditched guide books in favour of googling everything to find out what we need to know when travelling makes travel in Cuba a whole different ball game, here are my top things to think of whilst in the planning stages your trip. For nationals of most countries a 30 day tourist card for Cuba can be purchased in advance of your trip, this is quite easily done by applying online & having this posted directly to you. The fee for UK citizens is around £25 per person. It is worth checking beforehand however if the cost of your flight includes your tourist card too, when flying to Cuba I flew via Toronto & with Air Transat the tourist card was handed out on the plane – For Canadian nationals the length of time you are permitted to stay in Cuba on entry is longer than 30 days so it will be worth checking this out separately. You can extend your stay by 30 days whilst in Cuba, this can be done by going to the immigration office of the city or town that you are in within 3 days of your current tourist card expiring. You will need to take with you your passport, proof of insurance, proof of where you are staying (& should certainly already be checked into a hotel/guest house in that region for that day at least) & go to any bank & pay the 25 CUC fee for which they will give you a receipt & stamps which you can pay with at the immigration office. When renewing my tourist card I did it in Miramar in Havana, at a small unmarked office on the corner of Avenida 5B & Calle 90, if you go to this office just go straight in & up the stairs just after the small door on the right. It’s very quick to do & should take no longer than 30 mins to an hour should you have everything with you as noted above. Bottom line for insurance in Cuba is that although the authorities may never check your documents at the airport, in theory you need it to enter the country. The company that underwrites your policy should not be affiliated in any way with an American company as they will not pay out should anything happen to you whilst in Cuba. 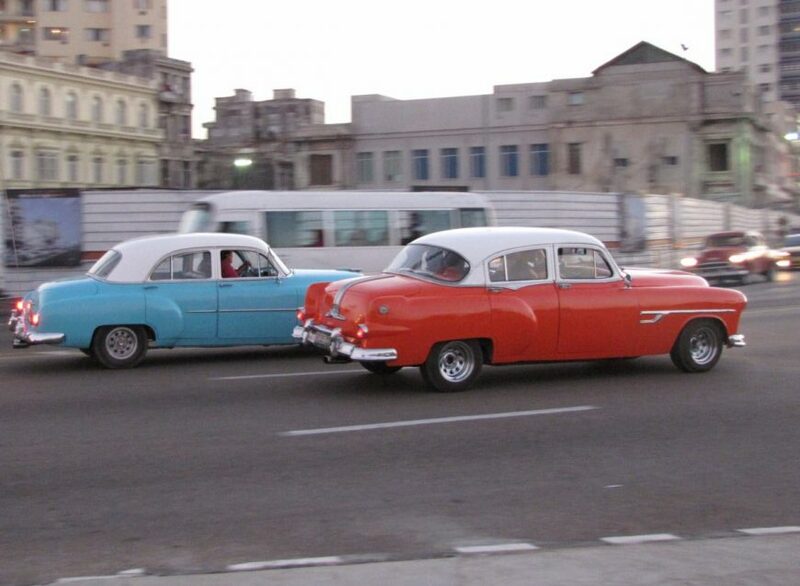 The simplest way to check if your policy is adequate for your trip is to call your insurance company & ask them to put in writing to you that you will be covered in Cuba specifically (a policy stating that you have cover inc. USA & Caribbean does not necessarily mean you will be covered). If you sign up to a policy & struggle to get this confirmed in writing it is worth noting that most policies have a 14 day cooling off period in which you can cancel without any charge. When packing for Cuba remember that some of the western luxuries that we are used too are just not available & if you do so happen to find them it will be at a hefty premium. For me bringing items such as sun screen & any toiletries are an absolute must as I didn’t want to spend my valuable travelling budget on such things. Another tip, if you have enough space for them would be to bring any snacks with you as these are difficult to get hold of in Cuba, cereal bars for one are a really good thing to bring with you. I would say if there’s something that you simply cannot live without bring it with you & don’t plan on buying things such as electrical items for your trip whilst you are here as it will save you a lot of money purchasing these things before you go. If you like to have things booked & planned whilst travelling it’s worth remembering that some booking agents do not allow you to book accommodation in Cuba whilst others will allow you to view accommodation but not book it. For me I have mainly used Hostels Club & Airbnb for bookings in Cuba as well as just wandering around & finding accommodation. Hostels Club can be viewed & booked inside of Cuba but Airbnb can only be viewed & not booked, a way around this is to give someone in your own country your log in details to book the accommodation for you. There is WIFI available in Cuba with the best possible way to gain access being to purchase an ETESCA card & use it at one of their hotspots throughout the island. The hotspots are usually in the main square of a town or city, in (or outside) of hotels that offer ETESCA WIFI or in bigger cities such as Havana there are various points at parks that offer signal too. You can purchase a card at any of the ETESCA internet shops (be careful not to mix these up with the shops that only offer telephone services) that offer cards for 1.50 CUC per hour – remember to take ID with you to purchase one of these. There are also guys that hang around the main WIFI spots offering the same cards normally at 2.00 CUC an hour (the extra they charge basically saves you queing at a shop). In hotels you can pay anything from 4.00 CUC + per hour but if you purchase a card from the shop or from a guy in the street you can log on at a hotel that has ETESCA WIFI with your username & password on your ETESCA card. The signal in Cuba can be very hit & miss & not great at all for calls via Facebook, WhatsApp or Facetime. It is also sometimes quite a bit of hassle to get a card, find somewhere to use it & take the time searching for information when all you really want to do is enjoy your time in Cuba, my main piece of advice would be to research on the internet (& save the information in your phone) as much as possible before going to Cuba as it will save you a lot of time & money in the long run. As it says in the heading, bring one with you. Some travellers always travel with one but in this age I for one have certainly found that less & less people are doing so. I know certain guides are maybe seen as not sending you to the “real” places but in reality they all contain very valuable information, especially if you are off the beaten track & end up with no internet access at all. Another couple of great reasons to have a guidebook on Cuba is that it will give you an insight into the history of the country beforehand. As well as this a good guidebook with enough information can also be used as an alternative to a tour guide if you prefer to go at your own pace & really look into what it is that’s before you. I have heard from a number of travellers that a certain offline map provider can be quite unreliable but when travelling having a reliable mapping system at your finger tips really can make your trip much more plain sailing. Cuba being one of the safest countries I have ever been too is somewhere you can really benefit from having a map that works at anytime & really gets you off the beaten track. I really would recommend maps.me it will usually locate exactly where you are, plan routes for you & show you your nearest amenities such as guest house, shops, restaurants, ATM – pretty much everything you would need really. Remember to download the app & the map for Cuba before you leave your country as downloading anything can sometimes be tricky & if you have an iPhone it will not be at all possible as Apple is not supported in Cuba (note that your Apple phone will work you just will not be able to update it or add anything new). One of the greatest things about travelling is having so much free time to be able to do all of those things you love & for a lot of us that includes reading & listening to lots of music. I would recommend that you download any music & books that you would like before coming to Cuba as a lot of companies such as Spotify will not allow you to update your playlists & some books through amazon will simply not be available. This along with the slow internet access just makes it easier to get everything ready before you go. I have read mixed reviews about the availability of ATM’s (Cajero Automatico’s) available in Cuba but having travelled the island quite a bit including some of the more remote places I can say that all big cities & most towns have an ATM. It’s worth checking your maps.me when travelling between places just to confirm but you should pretty much be ok. Visa & Mastercard also now work perfectly fine here but all card transactions come with a 3% charge from the Cuban bank as well as what your bank will charge you. If you have a card issued by a US bank there will be a 10% charge from the Cuban bank as well as whatever your bank charges you. As well as there being a hefty fee on US card transactions there is also the same 10% fee if changing US dollars into CUC. The best thing to do is to not bring dollars to Cuba. You can change any currency for around a 3% fee at any of the Cadecas (money exchange bureaus) around the island. When arriving at Havana airport there are Cadecas available immediately after you exit the airport & step into the taxi rank & inside of these you will also find a ATM’s. Travelling in Cuba for 2 months, one of the best things for me to do was get my head around the CUP (moneda national) & the CUC (convertible peso) exchange rate. I had read mixed reviews before coming here about not being able to spend in CUP if you are a tourist or not being able to pay in CUC when prices are in CUP & I can say that so far this has all been totally untrue. At the time of writing this there are 24 CUP to 1 CUC & whilst I have been to a lot of places that show only CUC prices I have also been to a lot of not touristy Cuban restaurants where the prices are only displayed in CUP. If I do not have enough in CUP to pay with than normally I pay in CUC by figuring out the exchange rate & knowing exactly how much change I am due in CUP. It will really benefit you to get your head around the exchange rate between the 2 currencies & really just know the score, if the person you are dealing with can see you do it will prevent them from short-changing you or overcharging you. Whilst some of the above can be a little daunting none of it is meant in any way to be negative or put you off of coming to Cuba. It is simply meant to help you get ready for your trip. Being a little more prepared before you go to Cuba will save you a lot of time, hassle & money & will help you to enjoy this beautiful island for what it is! This entry was posted in Cuba, Travel Prep. Bookmark the permalink.